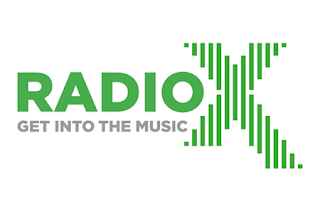 Radio X, the new home of Chris Moyles, Vernon Kay and Johnny Vaughan, is now available nationally on DAB digital radio. The station is available on the Digital One national DAB multiplex using the 80kbps mono slot emptied by Team Rock earlier this year. The station officially launches on 21st September with Chris Moyles taking the reigns of the breakfast show. DAB radios should automatically detect new stations in the background - you don't need to know the frequency the station is broadcast on. Most DAB listeners should just tune into another national commercial station on DAB, such as Classic FM or Absolute 80s, wait a few moments, and then search for "Radio X" in the station list. Digital Radio UK has retuning advice for listeners where this approach doesn't work, available here. Radio X's DAB signal covers around 90% of the UK population. Check whether or not you are in the coverage area here. The station is also available on FM in London (104.9) and Manchester (97.7). It's available online via Radiox.co.uk, via mobile apps including the UK Radioplayer and via Sky Channel 0113, Freesat Channel 723 and Virgin Media 960. There are multiple streams for Radio X online and on mobile - one for London, one for Manchester and one UK stream - Chris Moyles and co are available on all of them: try another version if one fails. Predecessor XFM is giving up its slots on local DAB multiplexes across the country, allowing Gold to widen its coverage. In Nottinghamshire and Leicestershire where Gold is already available, Chill has taken over the XFM slot. In Paisley/Glasgow, XFM ceased broacasting on FM shortly after 7pm 13/09/2015. Parent company Global Radio opted to close the Scottish service down after being told by Ofcom it could not ditch the station's Scottish opt-outs in order to network the station from England 24/7. Gold replaced XFM in Central Scotland on DAB.